Set within the lush green region, the district of Sahibganj, with a predominantly tribal population is a part of Santhal Pargana division and forms the eastern most tip of the division. The Rajmahal and Pakur subdivisions of old Santhal Pargana district were carved out on 17th May, 1983 to form Sahibganj district. Subsequently Pakur sub-division of Sahibganj district was carved out on 28th January, 1994 to constitute Pakur District. A large part of the district is hilly. The vast tract of land enclosed between hill ranges had been assigned a name- Damin-I-koh, which is a Persian word means 'Skirts of the hills'. The region on the bank of the Ganges is fertile and richly cultivated. Rajmahal, Shivgadi, Mangalhat, Kanhaiyasthan, Teliagarhi, Binduvasini, Shukravasini, Udhwa Bird Sanctury, Raksisthan, etc. Rail:The nearest Railway Station is Baidyanath Dham (Deoghar), which is a terminal station of a 7 kms branch line orignating from Jasidih Junction. Road:Long distance buses connect Baidyanath Dham with Bhagalpur, Hazaribagh, Ranchi, Tatanagar, Gaya etc. RAJMAHAL: Situated on the right bank of the river Ganges, Rajmahal is a small but historically important town. It was the seat of Government during the Mughal period when Raja Man Singh, general of Emperor Akbar made Rajmahal the capital of Bengal in 1592. Even today relics of the old and prosperous Rajmahal are visible in this one time capital of Bengal. The town has following important monuments. 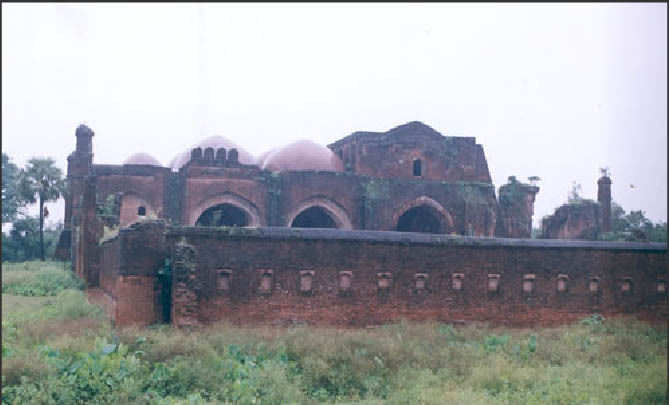 MANGALHAT: Situated 10 K.m west of Rajmahal, it is the site of an important monument Jama Masjid which was built during the reign of Emperor Akbar. It can be made a tourist place . KANHAIYASTHAN: Situated on the bank of the river Ganges, is a village situated about 13 km. north-west of Rajmahal town and owes its name to the temple of Lord Krishna (Kanhaiya). It is believed that Chaitanya Mahaprabhu once stayed here on his way to Brindaban from Bengal and got the vision of Lord Krishna. 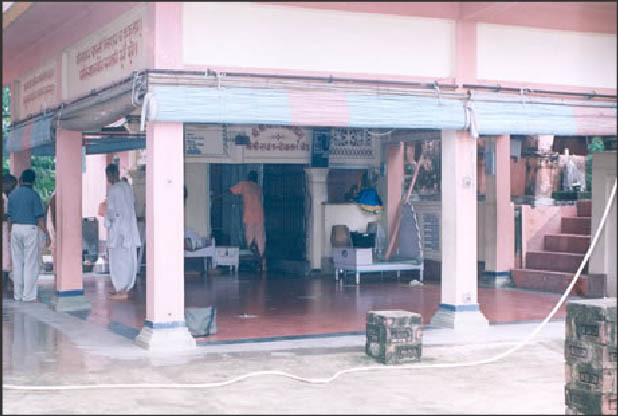 Footstep of Chaitanya Mahaprabhu is also preserved here. BINDUVASINI TEMPLE: Situated 2 K.M away from Barharwa railway station. Devotees gather in large number on Ram-Navami at this temple during the fair which lasts for 9 days. 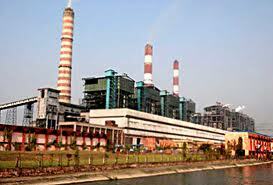 SAHIBGANJ CITY: It is situated on the southern bank of the Ganges in the north-eastern region of Rajmahal subdivision. 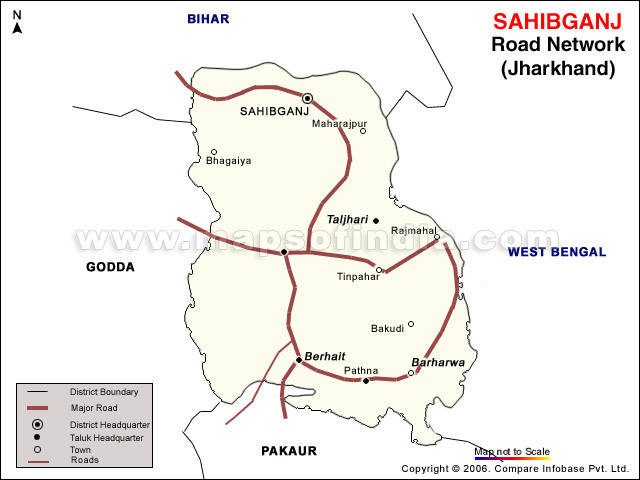 Sahibganj is the sub-divisional headquarters since 1944 and presently it is the district headquarter as well. It has a municipality, which was constituted in 1883. The town has a well, constructed in 1915 known locally as "Bhagwa Kuan" which was constructed in memory of Edward VII. Residents still use the well for drinking water. In the eastern portion of the town, there located a hillock near residence of Sub- Divisional Magistrate is historically very important. 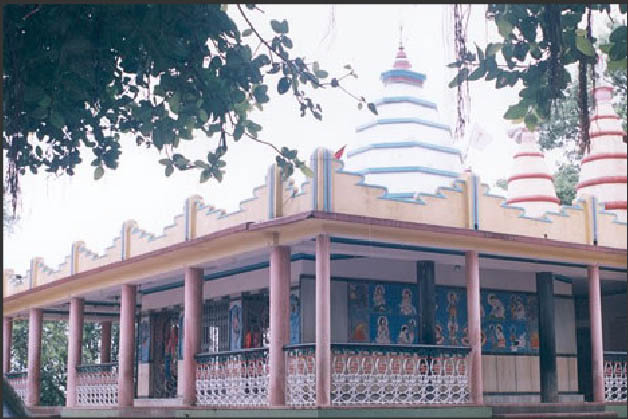 SHUKRAVASINI TEMPLE: This is a place of worship of goddess situated at Mirzapur village in the Barharwa block. SHIVGADI: This Shiva temple is located in the Barhait block 8 K.M north of Barhait and is inside the cave. Water from the mountain drips continuously on the Shivling. Devotees gather here in large numbers on Mahashivratri and whole of Shravan month. TELIAGARHI: These are remains of an old fort known as Teliagarhi after its builder a Teli Zamindar, who later embraced Islam during the reign of Shahjahan. It is located near Karamtola station. RAKSISTHAN: Situated in Mandro block near the Karamtola railway station just west of the Teliagarhi fort. This temple is considered very pious by the tribals and non-tribals. The deity is very ancient. Sutherland has reported about it in his report in 1819. BHOGNADIH AND PANCHKATHIYA: The village of Sido and Kanu, the legendary brothers who led the Santhal revolt in 1855, is very sacred for the tribals. There is also a memorial for the brothers in this village. Panchkathiya is a place where these brothers were hanged by the British. UDHWA BIRD SANCTURY: The only bird sanctuary in the entire state of Jharkhand is situated near Udhwa; locally called Patauda Lake. Hundreds of migratory birds reach here every winter even from Europe and Siberia. MOTI JHARNA: It is near Maharajpur the natural beauty of it is very attractive which is a very good picnic spot. 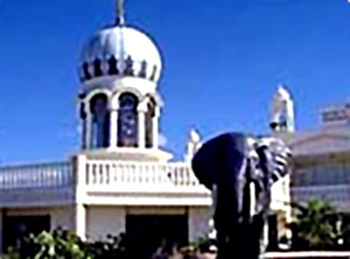 The stream found its source from the Rajmahal hills.